EVANSTON, Ill. — Northwestern University researchers ditched many of their high-tech tools and turned to large stones, fire and some old-fashioned elbow grease to recreate techniques used by Native American coppersmiths who lived more than 600 years ago. This prehistoric approach to metalworking was part of a metallurgical analysis of copper artifacts left behind by the Mississippians of the Cahokia Mounds, who lived in southwestern Illinois from 700 until 1400 A.D. The study was published in the Journal of Archaeological Science in May. The researchers were able to identify how the coppersmiths of Cahokia likely set up their workshop and the methods and tools used to work copper nuggets into sacred jewelry, headdresses, breastplates and other regalia. Two materials science and engineering students conducted much of the research. Matt Chastain, a Northwestern undergraduate at the time of the study, worked alongside Alix Deymier-Black, a graduate student in the materials science and engineering department. 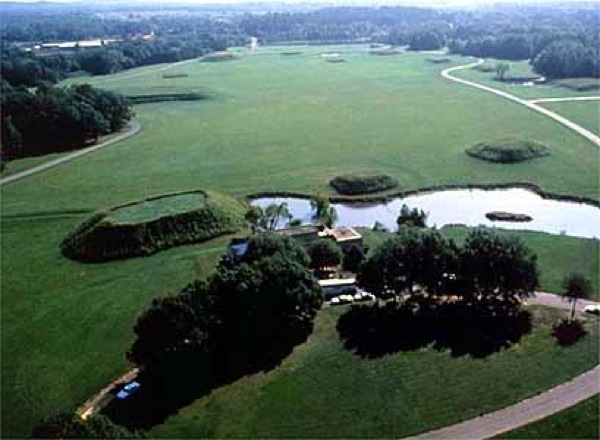 Chastain, first author of the paper, undertook the metallurgical analysis of the samples, supplied from ongoing excavations at Mound 34 in Cahokia. Chastain followed up his analysis by volunteering at the excavation site. After using basic metallurgical science to better understand the methods the Cahokians used to create copper sheets, Deymier-Black and Chastain recreated the metalworking process in the lab with natural copper nuggets, fire and a heavy stone —pounding and heating the copper into thin sheets. 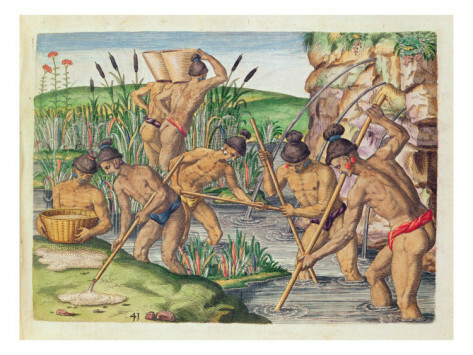 The researchers also tested theories that some archeologists had made about the coppersmiths’ techniques. One idea was that they made large copper pieces, like ceremonial breastplates, by “laminating” sheets of copper together through a hammering technique. Deymier-Black said that the lamination could not be reproduced, even with much greater weights achievable with a modern press. The other hypothesis, that the Cahokians used copper knobs or copper rivets and other mechanical devices to secure sheets of copper together, seems more likely. Another puzzle was how the Cahokians cut the hammered sheets of copper into regular shapes. The researchers cut replicated hammered sheets by four different methods: grinding an embossed ridge, shearing with scissors, hammering against a sharp corner, and bending the sheet back and forth. Only the bent edge looked similar to the edge of the historical artifacts, indicating that the Cahokians most likely used that method to cut copper. 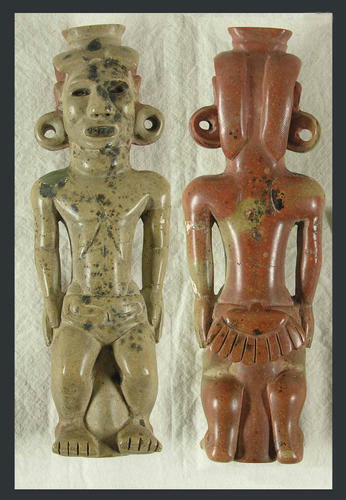 Scientific insight into the process used to create the sacred copper artifacts of Cahokian people is helpful to James Brown, professor of anthropology at Northwestern Weinberg College of Arts and Sciences and John E. Kelly, professor of anthropology at Washington University in St. Louis. The two researchers, co-authors on the study, are credited with pinpointing the location of the copper workshop at Cahokia. Maya gold mines in Georgia? January 4, 2012 Gary C. Daniels Comments Off on Maya gold mines in Georgia?